"This is done in the full knowledge of their husbands... It is done at home and in the bushes, hills, caves, in unhygienic places, creating a great risk of infection," said Chelangat. "Their mothers-in-law abuse them; they are shunned," Chelangat added. In recent years, female genital mutilation (FGM) has also been "medicalised" - it is performed by medical personnel to minimise the immediate health impacts and giving those who uphold the practice the validation of "safety". Speaking at a workshop organised by Uganda Women Parliamentary Association (UWOPA) in Kampala, former MP Jacob Wangolo urged MPs to address the issue, saying, "The archaic practice has now taken a new twist. Women are cut by 'traditional birth attendants' after giving birth, subjecting them to double jeopardy." He added, "Many girls practice FGM in hidden or remote places, while others cross the border via Amudat and get cut in Kenya, making it difficult to track them." The practice continues even despite a law passed in 2010 that prohibits FGM, describing it as "crude, outdated and an infringement on the rights of the girl child". "We are not cutting young girls anymore because they are at risk of experiencing heavy bleeding that may result in death... When a girl gets injured or dies during the procedure, then the authorities arrest everyone, including their parents. We are now focusing on married women because whatever happens to them, they take responsibility. Besides, no one knows about it." "The practice cannot end soon because it's our culture, and we love it," Cherotich continued. "We are going to circumcise only those who are willing to take part in the procedure. We are targeting mature, married women who understand the culture of our community and the importance of circumcision." Because of the stigma and maltreatment that uncircumcised women endure, there are many who are willing to undergo the procedure. Another interviewee and mother of two, identified only as Chemutai, told the Global Post, "I'm very happy because I'm now a full and respected woman in this community... I can speak in a meeting, and people listen to me. I now enjoy the privileges of being a [proper] woman of this community." "We have to undergo the cut to become full women," Chemutai said. "You can't serve food [to elders] or talk to elders in a meeting when you are not circumcised. They will abuse you and curse you." She said there was a way around it: "The elders are now allowing young girls to first get married before they undergo the procedure because of the government's strict rules... It's mandatory to be circumcised after marriage to be accepted by the community." The Ugandan government is adamant that these new tactics will not be tolerated. 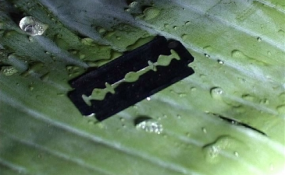 Kato Cherop, a local government official in Kapchorwa, said in a statement, "It's against the law to carry out female genital mutilation on any person. A person who carries out female genital mutilation or does it on herself commits an offence and can [get] imprisonment for up to 10 years."